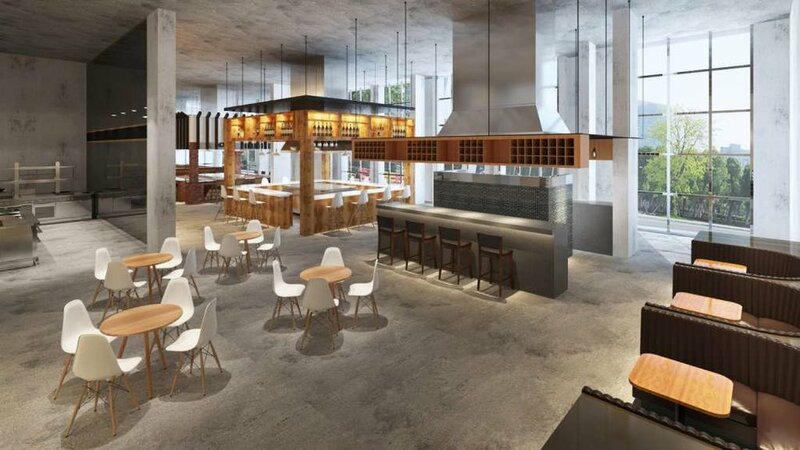 Main & Co is a collection of reimagined historic buildings housing modern offices, art & nightlife. 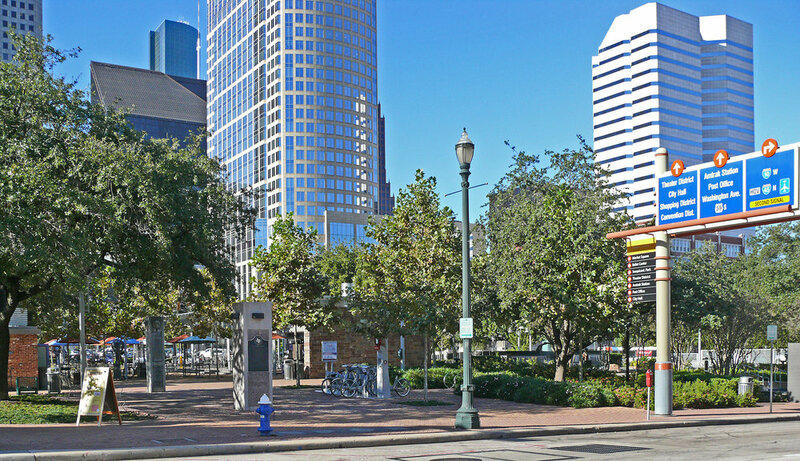 Located in the heart of downtown Houston at the corner of Main & Commerce Streets, Main & Co offers front-door access to the METRORail. Where a diverse mix of food, coffee, nightlife, hospitality, fitness & commerce merge. The historic Raphael & Dorrance buildings offer a unique opportunity to office in the heart of historic Houston’s vibrant redevelopment. 110 and 114 Main are located in the heart of historic downtown Houston. The original center of cosmopolitan life in Houston is once again the heart of the city. Over the years the buildings have been home to purveyors of dry goods and notions, a hotel, a BBQ restaurant, and several bars. The redeveloped buildings house some of downtown Houston’s most unique office/flex space that feature exposed brick walls, high ceilings with original wooden beams and an abundance of natural light. Downtown is home to all major sports arenas, major arts and theater venues, exciting new restaurants, bars, hotels, shopping and many more world class amenities. A perfect mixture of historic buildings and new development, the area is experiencing an unprecedented resurgence. 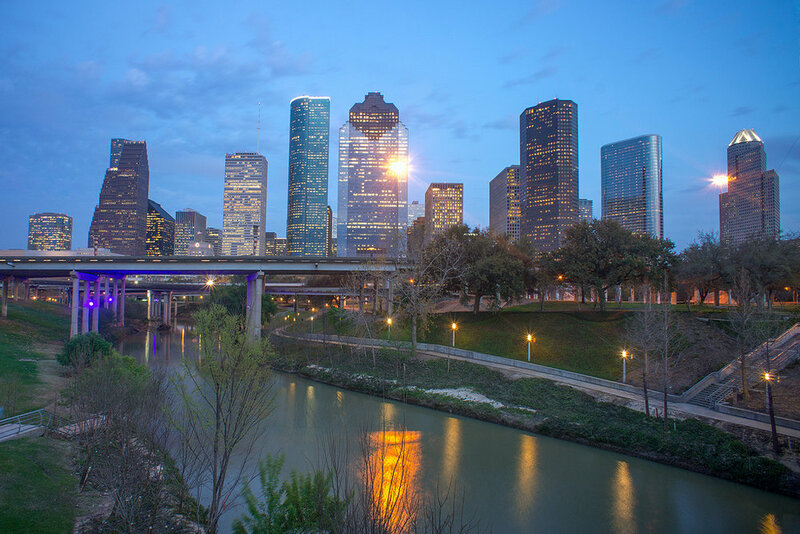 Serviced by a new network of light rail lines, busses, and cyclist/pedestrian pathways the area is one of the most walkable parts of Houston. Please tell us the topics you are interested in or are contacting us about. Check all that apply. I'm interested in leasing OFFICE space. I'm interested in leasing RETAIL space. I am looking for partnering opportunities with Main & Co. I'd like to inquire about renting the gallery space for an event. I have a question about an upcoming gallery exhibition. Interested in purchasing artwork from an exhibition. I want to know more about Main & Co.